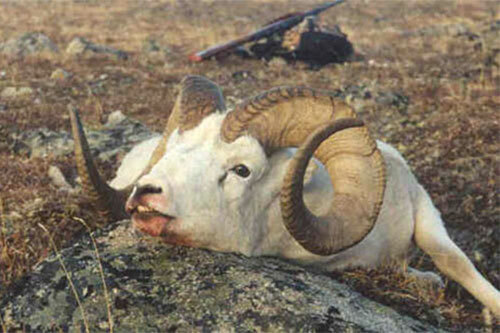 Dall Sheep are the white and possibly prettier version of the two species of thinhorn sheep found in North America. The other species of thinhorn is the Stone’s Sheep which has a percentage of black hair mixed with the white hair. Dall rams normally weigh between 175 and 200 pounds or about 50 pounds less than a Stone Sheep. 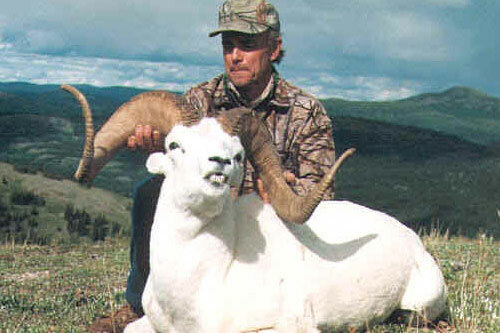 However the horn size of the two species is comparable often making a Dall ram a more magnificent mount. Our area is very well known as an excellent producer of Dall Sheep and it is not unusual to see large numbers of sheep in a single day. 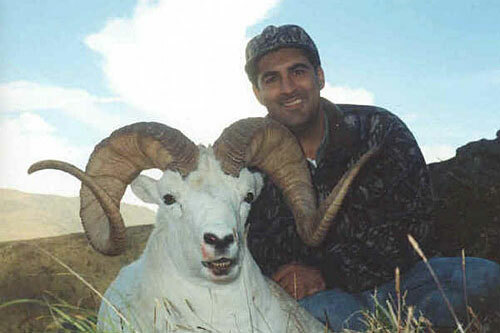 There is very little or no black hair on the rams and if there is black hair it is normally confined to the tail of the animal which does not effect the ram’s classification as a Dall sheep. Our sheep are normally found above timberline in a variety of country ranging from mountainous to rolling plateaus. This allows us the opportunity to try to match our hunters with the conditions to which they are most suited. This may include, hunting from horseback with only the final stalk on foot. 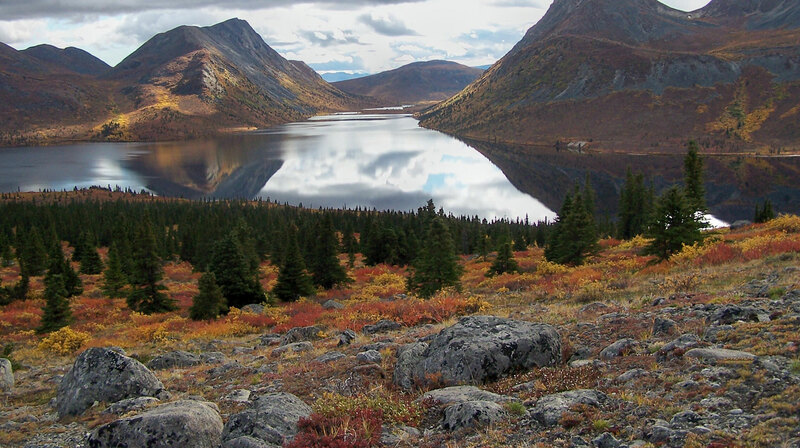 This area was the area in which outdoor writer Jack O’Connor preferred to hunt Dall sheep and most his Dall hunting was done here in the late 1940’s through to the 1960’s. 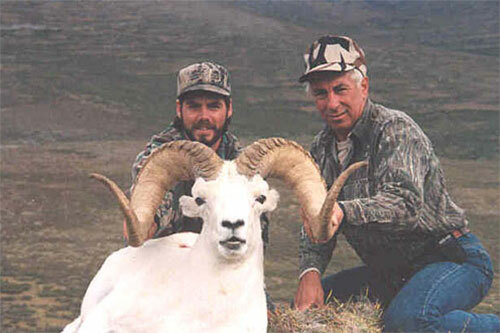 This is also the area that the number 10 ram in the Boone & Crockett record book was taken as well as rams such as Herb Klien’s 47-inch ram. Today the area is well managed and continues to produce excellent quality rams. Our sheep generally have heavy bases and there are normally several rams over 40 inches that are harvested each year. The average age on our rams normally varies between 9 ½ and 10 ½ years old but we have recently taken rams as old as 16. By putting emphasis on the age of the sheep that we harvest we are allowing our younger rams with good genetics to grow and become our busters of the future. In other words, this is an area that still has the possibility to find some pretty fantastic sheep.